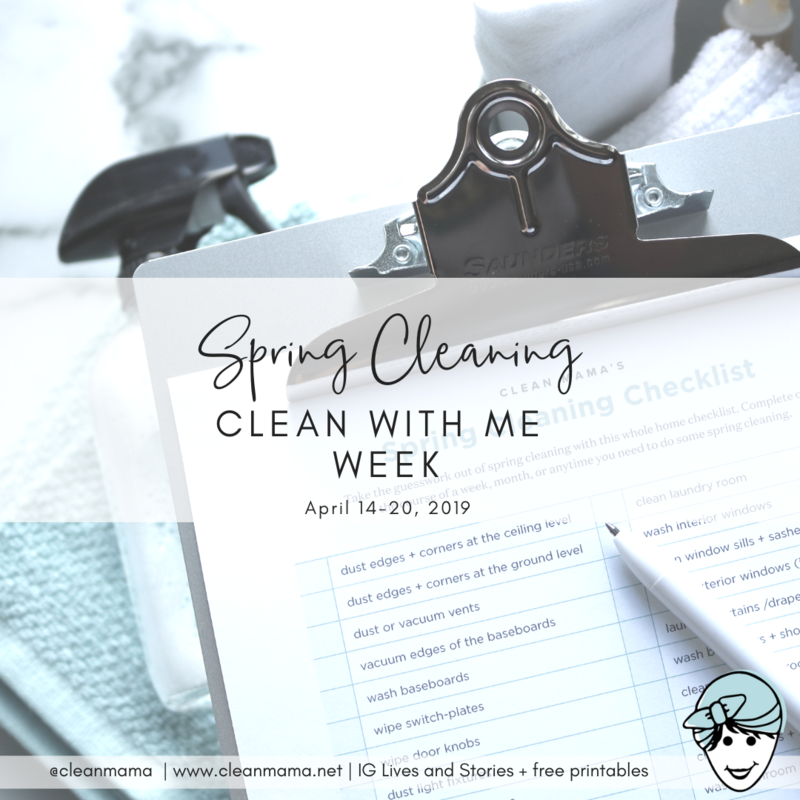 If you are Spring Cleaning (are you cleaning with me this week? 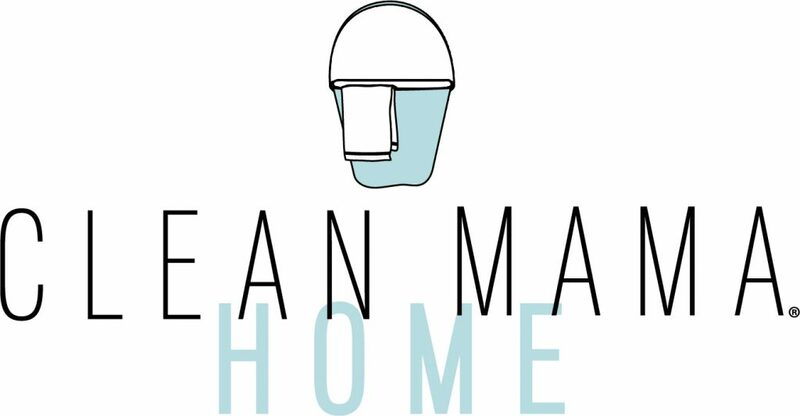 ), cleaning after illness in your home, or just looking for a quick batch-cleaning task, cleaning your homes most touched areas is a great project to take on. 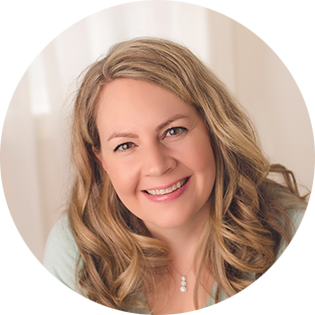 I have these areas on my rotating cleaning checklist (in my free monthly calendar and Homekeeping Society), but find that cleaning those most-touched areas are a great task for seasonal cleaning too. If you’re trying to figure out if you are up for some spring cleaning, cleaning your home’s most-touched areas is the perfect way to start! I find the most efficient way to clean those pesky most-touched areas is to batch them together. I go in order of the below list and do all of the light switches and switch plates, then move on to clean all the door knobs, all the kitchen handles, etc. This keeps me on task, I don’t miss anything, if a certain cleaner or cloth works better for an area I can use that for the whole house, and if I can’t get through the whole list in one go I can come back to the list. 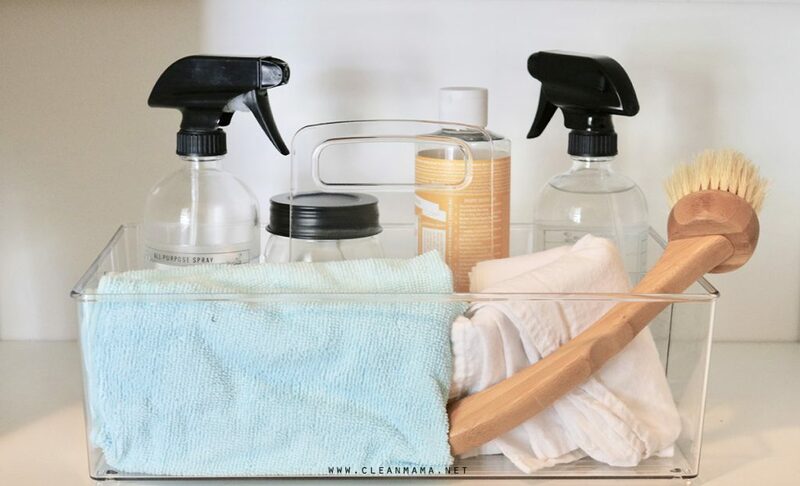 Generally speaking, all you need is a little all-purpose cleaner and a microfiber cleaning cloth or bar mop towel to clean most of these most-touched areas. All-Purpose Cleaner can be sprayed directly ON your cleaning cloth and then the area can be wiped clean. Spray, wipe, repeat. 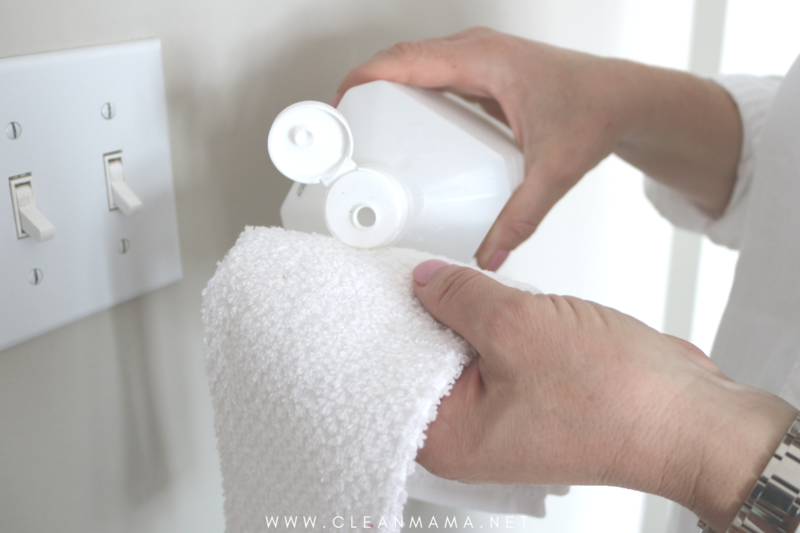 Mix in a spray bottle, spray liberally on surfaces and wipe clean with a soft cleaning cloth (I prefer microfiber or bar mop towels – you can find them here). 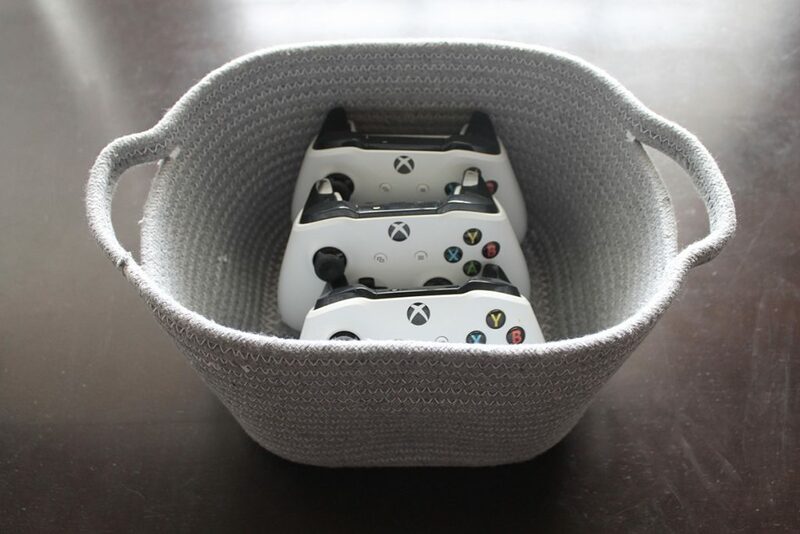 When cleaning areas like door knobs, light switches, and remotes/game controllers, I’ll usually pour a little rubbing alcohol on a cotton cloth or bar mop towel and wipe. This will kill the germs and clean the area easily. When cleaning doors and cabinets I like to mix up a little cupboard and cabinet cleaner. This simple recipe will tackle most cupboards and cabinets but this post goes into a couple more recipes. Mix all ingredients in a bucket. Work from top left and scrub your way down to the right using a microfiber cloth or bar mop towel. Be sure to wring out your cloth frequently and well. Ready to get started? 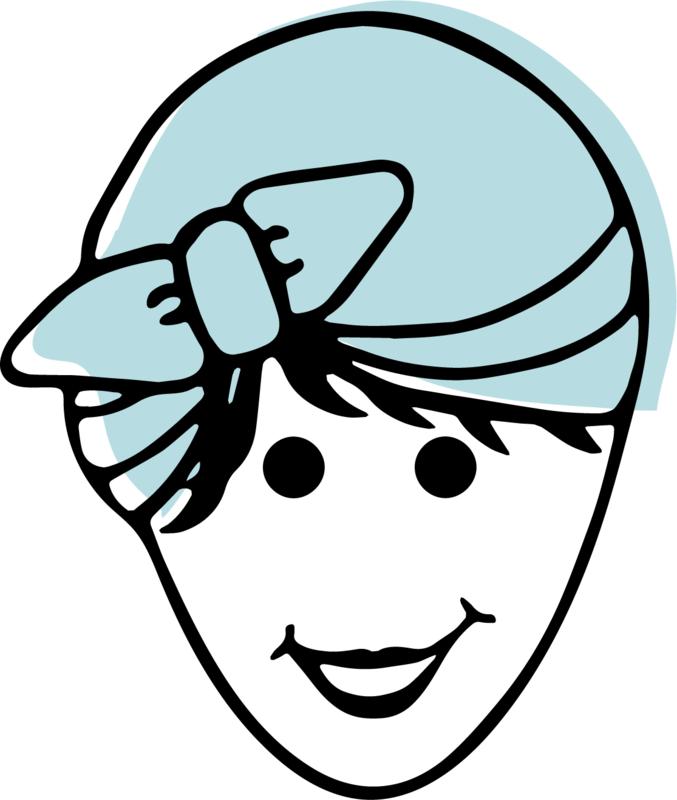 I’m pretty sure if you start with a little spring cleaning you’ll find that it’s not as hard as you thought it might be to get started! I’m in the middle of a kitchen remodel which means I have “stuff” spread throughout the whole house. Not one room is unaffected! Well, maybe not the bathrooms. The cabinets are done, and I’m putting things in easy-to-store containers and using bins on cabinet shelves for things like plastic and styrofoam cups and plastic knives, forks, and spoons etc. Things my husband seems to think every house needs.) I have put a wood label on each bin and wrote the contents with my label maker, so they look nice and neat and I can find everything. I can see a tiny light at the end of this enormous tunnel, and it’s bright and shiny! 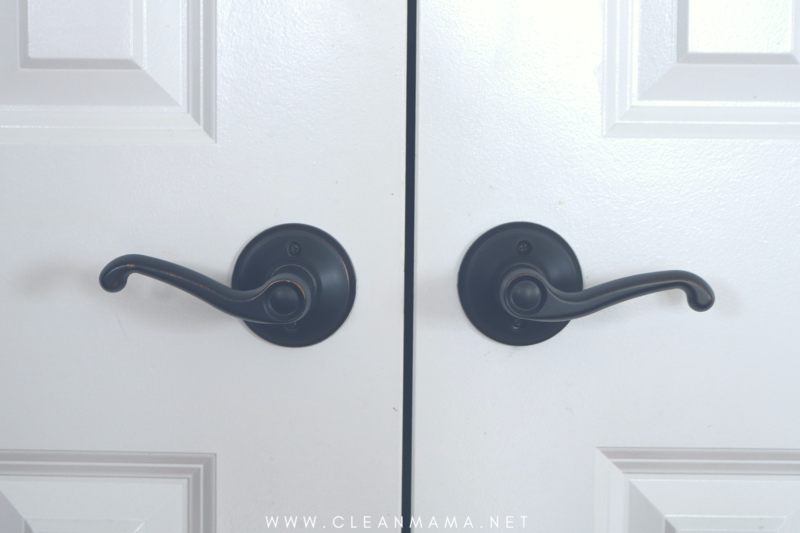 Starting today, I’m getting ready to start following Clean Mama Ways again…and am actually itching to get at my door knobs, doors, doorbell, remotes, etc. As things in the kitchen get put into new, or freshly washed containers, I am getting quite a thrill seeing how clean everything looks. (I didn’t realize how dusty things were until I started emptying out cabinets, etc. I’m sure I’ll feel the same way when I see my finger printless light switch covers and electrical outlets. It’s great being reminded of these things because they’re easy to skip when you’re busy! I’m going to go back through your posts for encouragement when it comes to cleaning out my two fridges. My grown granddaughter lives with me and uses one, and the other is for us all. They’ve been neglected since we started the kitchen remodel, as that needs to be done in the next few days. I can SMELL the need to get at it! Thanks for being there!